Gary Nealon Marketing Consulting – If you don’t drive your business, you will be driven out of business. I'm Gary Nealon, an e-commerce expert and serial entrepreneur dedicated to helping you scale your e-commerce business & maximizing your profits. "Five Strategic Promotions To Leverage This Holiday Season..."
"Six More Ways To Recover Abandoned Carts..."
"Six Ways To Reduce Cart Abandonment..."
"10 Ways To Keep Your E-Commerce Sales Hot This Summer..."
"25 Abandoned Cart Email Examples & Tips from the Pros..."
"How to Create Intent-Based Content to Improve Conversions..."
"Forbes Agency Council Members Celebrate New Books, New Partnerships, and Other Big News..."
"How To Identify And Speak To Your Customer Personas..."
"Marketing Experts Reveal Most Effective Source for Gathering Customer Intelligence..."
"The Biggest Social Media Marketing Trends for 2018..."
"Eight Tips For A Profitable Holiday Sales Season..."
"Delivering Amazing Customer Service While Drinking Through a Fire Hose..."
"How RTA Cabinet Store Finds Hidden Prospects For Its Kitchen Cabinets Using Facebook..."
"14 Entrepreneurs Share Their Best Bootstrapping Tips..."
"How did Gary Nealon go from bankruptcy to building a company that will make a projected $40M this year?..." "10 Marketing Rules the Best Entrepreneurs Live and Die By..."
"9 Battle-Tested Tips to Turn Stress Into Success..."
"10 Sacrifices Successful People Make for Their Dreams..."
"11 Secrets From Top Entrepreneurs on Hiring the Best Talent..."
"11 Ways Master Entrepreneurs Make Unhappy Customers Happy..."
"Show Measurable KPIs In A Dashboard..."
"9 Entrepreneurial Lessons You Never Learned in School..."
"10 entrepreneurs share their top ideas for creating passive income..."
"11 Genius Tips to Be More Decisive..."
"11 Beliefs These Moguls Use to Win Big..."
I'm Gary Nealon, an e-commerce expert and serial entrepreneur dedicated to helping you scale your e-commerce business, increase your revenues, and maximize your profits. Using my wealth of experience in e-commerce, I'm devoted to assisting you with strategic planning, SEO, and social media. I work with clients who want to increase sales and profit margins through diversifying their marketplace assets, lowering cost per acquisition, and leveraging technology and digital marketing opportunities. My goal-oriented strategies will scale your business in a timely and efficient manner. In addition to owning multiple 6 figure+ companies: Wine Trail Adventures and Nealon Solutions, I have successfully built an 8 figure+ e-commerce business in the home improvement industry. My proven track record of success has landed RTA Cabinet Store on both the Inc 500 and Philadelphia 100 lists, as well as the Inc 5000 for the 7th year in a row. Additionally, Houzz.com recognized RTA Cabinet Store in its “Best Of Remodeling.” In 2015, I was named to the elite Smart CEO Future 50 list. My ideas can also be seen in top publications such as Entrepreneur & Business Insider. Through various consultation packages, I am able to cater to your needs, help you fill your marketing gaps, and meet your e-commerce goals. My success with my companies, and specifically RTACabinetStore.com, is a result of strategic planning and marketing that increased both traffic and sales while decreasing cost per acquisition. Kitchen cabinets, by nature, are one of the hardest products to sell online. Not only are they large transactions that customers are apprehensive about making, but they are also big and bulky to warehouse and ship. Then there's the massive number of SKUs per order, the fact that most customers have a hard time visualizing the finished product, and the long buy cycle that makes it difficult to track conversions. That said, traditional marketing methods for boutique and virtual products would not work for cabinets. So, I created my own marketing and advertising methods, including high-level digital marketing strategies and marketplace diversification. These strategies led to e-commerce proficiency & ultimately increased sales and significant growth. RTACabinetStore.com lowered cost per acquisition from $125 down to roughly $85. With retargeting strategies, I could get the same customer for just $12. I increased lifetime value by over 60% by segmenting our audience into niche groups and focusing on specific needs versus a generic funnel. I increased sales by a minimum of 35% every year for the past 9 years. Through split testing, I increased our website conversion rate by 46%. Leveraging social media, I built interest groups around ancillary niches. This drove traffic at an average cost of $30 per customer. Through strategic partnerships, I negotiated list sharing and pixel swapping. This drove about 7% of our traffic and was absolutely free. So, if you're someone that needs help scaling up an ecommerce business or getting your product working in the online ecosystem. Gary, is the 800 pound gorilla nobody knows about; use him before your competitors do. Everyone's an expert nowadays, and it's rare that you come across someone so ridiculously knowledgeable about their space that what is second nature to them, is a mind blowing, business changing nugget of information for you. Everyone's an expert nowadays, and it's rare that you come across someone so ridiculously knowledgeable about their space that what is second nature to them, is a mind blowing, business changing nugget of information for you.That's what I've gotten nearly every single time I've ever had the pleasure of being in Gary's presence. He's a down to earth dreamer, and bonafide action taker who inspires you to not only take big leaps, but feel confident all the while. If you have a chance to work with Gary, don't pass it up. It's been a game changer for my business. Gary Nealon is one wicked smart individual. He gave me more effective marketing strategies in one call than I had received working with numerous groups over the years. His insights have been extremely valuable for me and my business and have directly led to increased sales. I am lucky to have been connected with him! The more time I spend with Gary, the more I think he be one of the smartest, real deal marketers on the planet. He has a way of seeing the customer journey and mindset from a perspective that is most like that particular markets customer. I've personally watched him think of and implement new ideas that went on to create 12x return on investment. If you're looking for some help with your online/offline business. Do yourself a favor and book a session with Gary. You'll probably learn more than any paid information you've ever gotten before. I've been working with Gary for nearly 7 years and he's continued to push the box when it comes to new ideas and creative entrepreneurial endeavours. I've seen Gary take his passions in wine and food, turning them into highly profitable businesses. Where most entrepreneurs look to old strategies, Gary is continually looking to find new ways to innovate to serve his customers. His RTA cabinet business is a juggernaut in the space, a reflection of his care for the customer and the quality of his product. It's a bit unbelievable that Gary was able to grow such a successful business out of a warehouse in PA, shipping kitchen cabinets across the US... but he did it. And he did it better than anyone else. I love how Gary attacks new problems and takes on challenges. He's a true entrepreneur and ecommerce strategist. More than just talk, he's walked the walk. 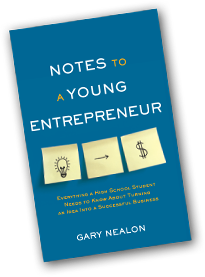 Gary's a juggernaut of business acumen, innovative strategies and entrepreneurial drive. I've seen his own businesses and ventures flourish and grow from a group of clever ideas into stable profit powerhouses, and I've seen his influence on other companies open up new streams of revenue and new ways to dialogue with customers they'd never considered. An hour's chat with Gary is worth more than a week of any business or marketing seminar, full of actionable insights and true wisdom borne from decades of experience in starting and growing companies, triumphing over obstacles and setbacks, and successfully marketing a myriad of products, ideas, and people. When it comes to marketing (especially online marketing in the eCommerce space) Gary is in a league of his own. To build an 8-figure business selling arguably one of the most difficult things to sell on the internet (Kitchen Cabinets) is no small feat and is just a small reflection of Gary's genius. If scaling your eCommerce business and maximising your profits are important to you, and you're fortunate enough to have the opportunity to work with Gary, don't blink an eye and make it happen. My conversations with Gary always feel like a master class in practical eCommerce operations. I always walk away with at least 1 thing I can deploy in my businesses. Whether you own a successful online business and wish to increase revenues and grow or you're a traditional retail store wanting to sell products online, you often need an expert to help you navigate the complex world of e-commerce. How we work together depends on your specific needs and situation as well as your objectives and the opportunities available to you. The following consultation packages are designed to help you where you need it most. A full-day strategy session is ideal if you're looking for a comprehensive road map to get you from where you are to where you want to be. During our day together, I work with you and your team to map a specific action plan with objectives and milestones to ensure your goals are met. Designed for those seeking consistent support and guidance, ongoing e-commerce consulting allows you to address specific issues preventing you from the next level of online success. No matter the goals and objectives — whether it be to increase lifetime customer value, implement marketing techniques that lower customer acquisition costs, or set in place systems and procedures for better customer service — you will work toward clear and defined milestones with expert help to support you. This option is designed for companies who are in need of third-party assistance to achieve their growth plan and who are willing to share equity to do so. My team and I begin with a detailed and goal-oriented plan that will increase market share, sales, and profit margins. We step in and take over implementation in the areas in which you need the most support. We work to scale your business to where you want it to be within a given time frame.